Last updated on July 17, 2018. I’m so glad to introduce Donna Merrill my Guest Author today. I’ve known Donna for quite a while now, she has been a long time pro blogger who always gives such great information to her readers. I visit her blog at DONNAMERRILTRIB.COM every chance I get to stay up to date on the cutting edge of the blogging world. I also hear great things from people who have coached her. She seems to have a knack for helping people get past those nagging obstacles that hold them back. I know she has also had a professional practice as an intuitive consultant for many years, so I guess it’s no surprise she knows how to help people move forward in their lives. In this article, I’ve asked Donna to share some of her list-building expertise. It’s the heart of growing your online business, and she is pretty passionate about helping her clients and readers get this part of their business right. So, enjoy some great information from a top blogger and marketer, written in a style that is uniquely hers. Thank you so much, Donna, for accepting my request to be a Guest Author here @Philipscom Indeed, I am honored to have you on our page. May you have a great time of sharing and caring fellow bloggers around the world. List building on your blog, it turns out, is the single most important thing you can do. I should say, it’s the most important thing to do if you’re trying to build a business with your blog. It’s the most important thing to do if you want to monetize your blog. It’s the most important thing to do if you are trying to brand yourself as a leader, authority or expert. It’s the most important thing to do if you if you’re trying to build a relationship with your followers. Bottom line… list building is the single most important thing you can do with your blog. Why List Building Above All? What better way is there to accomplish all the things listed above on your blog? How about promotional sidebar banners? I think just about any blogger, you can find (maybe you, too) puts promotional banners on their blog’s sidebar before they do anything else. The results typically turn out to be pretty disappointing though, don’t they? 2. The blog is a micro niche site that focuses very tightly on one single purpose (like reviewing photography equipment). Other bloggers feature lots of CPA (cost per action) or rotating commercial links, including Google Adsense. Ad links, though, require a huge traffic flow. If your blog is getting a huge traffic flow, instead of going after nickel and dime, one-off ad revenue, you should be converting your visitors into subscribers to your list. That doesn’t mean you can’t use ad links, too, but it does mean that you should not (in my opinion) consider them above list building. Think of them simply as a supplemental monetization strategy. Technology is great for list building. There are many WordPress plugins and options software that help you grab the attention of your readers. While most people get annoyed by “pop-ups” that tell people to subscribe to your list for this or that reason, they are effective. Most bloggers I know swear by the popups that offer a free ebook or some such thing, to entice their readers to opt-in (subscribe) to their email list. Pop-ups can slide up, splash down, shake around or anything else. They can be set to be activated at certain time intervals, or can even be automatically tripped by an “intent action” like trying to exit the blog. Exit pops, in fact, seem to be one of the most popular forms of this technology. There are plenty of places to buy this technology, and some are free. Just do a search for something like “best opt-in form software.” You’ll find plenty of good resources. In addition to pop ups, you might also like to explore the “Hello Bar” that is a static opt-in banner that sits at the top or bottom of your blog. Many bloggers like the hello bar because it doesn’t pop up, and so is less annoying. I think the most effective way to build your list is to embed your opt-in offers within the content of your blog. When you write a blog post, ask your readers to subscribe to your list to get more information about the topic you are writing about. So, for instance, if you’re writing a blog post about the best ways to produce instructional videos, think about who will read that blog post. Obviously, they will be people interested in developing video training. This is extremely effective because you’re not just asking somebody to join your list, you’re asking people you know are interested in video training to join your list. That’s a very important distinction. Once you get your blog reader to join your list, you have their permission to send them emails. You’ll use emails to offer him/her products to buy, to continue to build a relationship, to further brand yourself as an expert and authority in video production. That’s the best strategy for using your blog to build a loyal following, a solid customer base and a steady flow of sales. Do you actively and strategically employ list building on your blog? How is it working for you? Author Bio: Donna Merrill is a top pro blogger at DonnaMerrillTribe.com, and creator of “Blogging Magic,” an intensive guide to blogging. 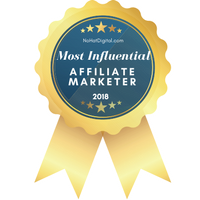 She also runs the very popular “Whirlwind Success, VIP Club,” a dynamic coaching club that helps both newbies and pros build successful blogs, online businesses, networks and loyal followings. Next Post: Twitter The little one??? Is going BIG!!! Great post which I must add is very timely. I just started to focus on list building for my blog and seeking other strategies to move my blog forward to a new dimension. I’ve read a couple of posts before about list building and getting readers/visitors to your blog to opt in and to become subscribers but never really gave it much weight of how important that was until recently I got my aha moment. I know it is never too late to start and I know I have some work to do in that regard but better late than never, right? So yes, thanks for this post. Great advice. What joy to see you here again after a bit gap. Nice to know that Donna’s post you liked it and found it worth sharing too. Thank you so much for the kind share and the words you posted along with it. I am sorry for the delay in attending to your valuable feedback. Yes, list building is an important thing every blogger need to look into it seriously. I didn’t realize the importance of list building when I first started out. I started with a network marketing company that branded themselves. So my list was worthless. Then I developed a free “get over procrastination” digital opt-in and that went well. But did I follow up..not really. That AHA moment struck and list building was first and foremost where I concentrate. So you see..it IS never too late! I want to take this opportunity to give you a huge Thank You for having me as a guest on your blog. I am truly honored that you have chosen me to do this. I am sorry due to some pre-occupation i could not attend to your response. In fact i must thank you for your valuable and great presence on my page. thankful to your for that. Keep sharing your valuable thoughts, and knowledge to your fellow beings. that’s the only thing we can do to the society as a whole. How nice to find your blog post on pvariel’s site Donna. List building is the most important thing you can do for your blog. I am now thinking about embed offers and intent action -exit pops. You Merrills are so helpful! Visiting with the Rotator with PAC. Thanks for coming by. Great minds must think alike because I was just talking to David about putting an exit pop on my blog. I think it is a wise decision because we need to build our lists just about everywhere! Great post. 14 weeks into blogging and I have realised how important this email list is. I have read it a couple of times and thought, there are so many other things I have to do first. But now I wish it had been on my priority list. I have a thing for those annoying pop ups as well. I have not even considered it yet. As I don’t like it so why would I do something present something that I am not fond of. But as you say Donna they work. So I am at odds with this. However I don’t have anything ready on offer. So I will wait and keep the pop up for the time when my own project is ready and I have something to bribe them with. Lol at the bribe. Some call it incentive, offering, I call it a bribe too, verging on a please please sign up. I understand it is the culture of blogging. Donna this was a great timely post for me because it is this week that the email task has started to drive me crazy. Thanks. Just like I mentioned to Kathryn, I think pop ups are annoying too. But I think an exit pop up is not too annoying to people. The worst is one of those huge pop ups that you cannot find the x button to clear it out as you are reading a post. I find it intrusive and I always loose track on what I’m reading. You can create a list even if there is not an offer or “bribe” as you call it. It can just be something like “sign in to get all my updates” It’s like an RSS but only you capture emails and send out your blog posts and a few emails related to that post that only people on your list will get. So glad that you did an article on list building as I think there is never enough information about it – it’s such an important part of our businesses…So deserves center stage, in my opinion. Awesome article, thanks for sharing. I like the encouragement you gave to embed more list building opportunities in our blog posts. That’s a great tactic. I’m going to be doing more of this, even though I have a post-blog post opt in opportunity, which is totally different, I agree. Have a great weekend. ? As the old saying goes “If I knew then what I know now…” I would have a huge list when I first started. But, it is never too late! I do have lists from products put up on various platforms, but I know I’m weak when it comes to my blog. I’m thinking of an exit pop these days…just have to get around to it lol. But as with any list (I have a few) one needs to give some good information to those who have opted in. Excellent summary, Donna, of what is typically the single most important aspect of professional blogging: building your email list. There’s absolutely no more powerful business model than collecting a list of customers (subscribers) and then building a relationship with them over a drip feed of email content. This content should be a mixture of value based information, and promotional offers that are congruent to that information. If you don’t believe that this is the single most important model to follow, then think for a moment. This is the business model followed by Amazon, Facebook, Walmart, Target, Macy’s and probably every single successful business that exists. List building is the key to their online presence. You’ve given great suggestions for doing that, here. Technology is always the most popular because it’s easy and bloggers can just set it up and walk away. But the method you give for embedding opt-in enticements within your blog posts (this is called “native marketing”) is absolutely the most powerful one for bloggers. They’re in the process of giving people the best information and value they can on their blog post, so that’s the perfect time and place to ask for the reader’s opt-in. Really good stuff here, and thanks Donna for that, and thanks Philip for hosting this guest post. I found that using “Native Marketing” in every blog post is working great. This is mainly how I capture my list. But sometimes I think…what about others? Maybe they need a better CTA? Blogging is always a work in progress. Working our list is top priority because this is how we really engage with others. Thank you so much for your wonderful input here. I like the advice you gave about inserting it into the post. Although I never hardly sign up that way I can see how it makes sense. Building my email list is my top priority right now so I’m taking in all I can. The simplicity of your post about something so critical is important. I’ve heard of Mail-chimp before but never heard how using technology can help build my list. I hope it’s easier to use because it’s a plug-in but we’ll see. Great seeing you! So far, I get some good results when embedding an offer in my posts. It targets those who really want to learn more, or opt into an offer. I have been doing it that way to separate the curiosity seekers from the serious buyers. However, any way we can capture an email to build our list is great! We have to have several emails already in place before we do. This way it gives us a “head start” when meeting and greeting people. Then we can, if we want to go on to get more personal as we communicate with others. Awesome post, I never thought guest post would have so much importance in online business. I’ll surely consider your tips. Great meeting you here. Guest posting is wonderful! It is a win win for both blogger and guest. It is a great way to extend ourselves to meet new people. Glad you liked these tips! What a great post with lots of ideas to implement. I am always looking for different and unique ways to build my list. It really makes you wonder when looking at different blogs; “Does that really work?” I guess we just have to take advice from bloggers like Donna and experiment and test because all blogs are not the same. Have a great new week coming up. There are numerous ways to build your list. When it comes to your blog, if you have your own product to offer it is great! An ebook or corse, training whatever. You embed or remind your readers by a CTA to click on the offer. But we can also start list building when we are at the marketplace. Free or paid offers on many platforms do work. I would have to say a low price rather than free..but that is a blog for another day lol. If someone pays one dollar for information, they value it more than if it were free. Email traffic is where we need to put our efforts each and every day. Blogs, Facebook, YouTube, or anywhere else that points to a direction to where your target audience is. This is an excellent post. You really explained many things every blogger should know about list building. List building is extremely important and I am glad you explained that there are paid and free technology to achieve this. Many bloggers cringe from list building because they feel its intrusive, while other are reluctant because of the cost of the technologies involved. But there are free solutions everyone can start with and migrate from when their blog starts being profitable. Content for list building is another issue. Your observation about video training is true and worth implementing. I really enjoyed reading your article and got a few tips I would love to check out [video training :) ] I know video trainings convert well but its the cost that can be an Achilles heel. But I will look around and see if I can get a cheaper alternative. Thanks for sharing, Donna. Do have a splendid week. Good to know you found this topic interesting. Yes, list building is a must! It is the best way to engage with others. If we lost our blog, our social site, we will always have our list. It is golden! It is where we can really connect on a more personal basis. In the old days I would cringe but it’s been a while since then lol. There are free and paid ways to do so. And when it comes to video, there are plenty of free ways to do that too. It doesn’t take much to go to YouTube and put up a video with a “card” attached to it landing on your blog. List building helps us to monetize a blog, become an authority, and improve relationship with fellow bloggers. One key point why list building should become part of a blog is for the reason of lead generation. Luckily, many bloggers are doing good work in this aspect. However, if we must maximize our list building tactics then the tools or technology employed must not be hindrance to our plans. I boldly make this statement because some pop-up and slide plug-ins used in WordPress sites distract visitors with frequency and color. Hence, there is need to create a balance even when list building tools are utilized in a blog! I left this comment in kingged.com where this post was shared. You make a great point here: Pop ups! I still don’t have one on my blog, but thought of an exit pop. I just cannot get myself to do it yet because pop ups are distracting to me. Nothing worse than getting a pop up in the middle of reading a post, especially if I cannot find a way to get rid of it. I have to start all over again reading because of the distraction. When it comes to the sidebar “Less is More” in my opinion. All I have on my blog is my own products. I can never concentrate on a post if something is blinking in and out on that side bar, or even worse, it is so filled up with different colors that my eye keeps on going there. Great post on list building with a blog! I agree with all of the points made by Donna here. List building should be one of your top priorities with your online blog. You want to build up a subscriber’s list. Building up a readership is very important. It is the lifeblood of your blogging business! We should never forget; the money is not just in the list, but in the QUALITY of the list. It is not really about quantity, it is about quality. A few weeks ago, I met a blogger (a woman) who made a few thousands from an email list of about 930 – that she built from her one blog! ..
One of my favorite ways to capture leads at my blog, is with a “Basic 2-Step Optin” method. Because of the psychology behind it. This means people have to click on a link or button in order to see an optin form. I use a premium plugin called OptinLinks. A 2-step optin strategy tends to convert higher than a simple optin form. You have to test it out with your traffic, of course (numbers might vary with types of audiences). The reason why a 2-step optin process converts better is because of the Micro-Commitment behind it. This is knowledge that comes from the law of influence. The easier it is to make someone make a micro-commitment (like clicking on a link or button) – the easier it will be to get them to make another micro-commitment (like optin in). This is just human nature and psychology. When people click on a button or link, because they “might” be interested, and an optin form pops up, in the mind (subconsciously) they want to finish the entire process. This is what I have learned so far about list building online. Just sharing my 2cents here! Interesting post and topics, for sure! Thanks for sharing your knowledge, Donna! Thanks for joining in on the conversation, and for adding a great suggestion that I didn’t really get into. 2-step optins are a wonderful method for building your list for all the reasons you gave. I also want to take a moment and talk about the Quality of the list you build. You raised this issue, and it’s absolutely critical that people understand this. While this article was focused just on ways to build a list, you also want to make sure you have a good list, not just any old list. You mentioned a blogger earning thousands of dollars with a list of only 930 people. That’s not an unusual thing. The standard in the industry is $1 per subscriber, so she’s actually getting closer to $2 per. That by the way, is recurring. So if you were making $2 per subscriber, you could expect to be earning $1860 each and every month from the list you mention in this example of 930. Now, that doesn’t just happen. It happens because you build a Quality list, and because you email them daily with hi-conversion sequences. I teach whole courses on this, so I can’t get into the whole strategy here, but yes…. as you build your list… AS YOU BUILD YOUR LIST (not afterwards), you need to be sending them good email broadcasts that will convert them into paying customers, and you need to take steps to make sure your subscribers are High Quality. Thanks for raising this point, Freddy. Nice information you have shared here and I completely agree with what you had said here. List building is the best strategy to build a relationship and you can get loyal visitors to your blog which is very important. I am lacking little bit at this point of building a relationship, but this info helped me a lot, so Thank you very much by sharing these details and thanks to Mr. Philip also. List building serves two purposes. One: We get to engage more with others on our list by giving them more information that is on our blogs. We do this 80% of the time and 20% can be offering those people on our list a product or service. Engagement is key to our list. This is why the saying “people buy people” rings so true. Nice meeting Donna on your blog with an important topic for all to learn from. Email marketing is sure one of the best strategy you can think of to build a loyal audience and instant targeted traffic for your blog and offer. But despite all that have been said and proved to be true about list building, many online marketer still find it difficult to build effective responses email subscribers. Though, in all honesty, is easy getting people to subscribe, but is a different ball game getting these people to open and click on your email links. But with patient, tweaking and testing different elements on your email subject and message…..yo can achieve better results. Shamsudeen recently posted…What is Affiliate Marketing and How Does It Work? have also been thinking about this. As for Pop ups well they say they work, but still Don’t like them.. List building is one thing that is wise to do. Suppose everything went away…our blog, Facebook, etc. How would we get in touch with people. Oh…easy peasy we have a list. I am sure that if you started capturing names and emails and started a list you will be fantastic at it. All you need to do to start is have an opt-in on your blog. Then have at least 5 emails all ready to go on a certain topic. Your friendly and open nature would be an asset because as you spend time writing emails to your list, sharing experiences and giving some good information, it brings you closer to the people who opt in. From there you can offer them whatever it is you want. The trick is to engage with them. Give them more information than you would on a blog post in little segments. They will appreciate it. So give it some thought my friend! One more great post on Ariel’s blog and one more top blogger as a guest author here. Regarding the post, I am totally agreeing with the fact that no one realises the importance of list building in the early stages of their blogging. They may be too much interested in displaying Ad banners in their side-bar thinking that it is very easy to earn income for Ad banners. Definitely, someone need to be an expert in the field or they should have a niche which is very narrow so that customers may buy something from the Ad banner. This is s timely post reminding me to check the link building that I am doing is correct or not. I will have to go through it once again and make it more productive. Once again thank you very much for sharing such a valuable information. When it comes to banners, it just doesn’t work if there are so many on the side bar. However, having your own product on the sidebar offering something free, then an upsell will work. When people are new at blogging, there are many people doing this and it doesn’t earn much. Sometimes it is not even congruent with their niche. This only will confuse the reader and sometimes will develop what I call “sidebar blindness” I once did a post about that one! When starting a blog, it is important to start building a list. It can be anything as simple as keeping up with your blog posts to an offer. But there has to be a call to action and a reason for people to opt in. Once a person opts into your list, the fun begins! You give them more information via email in small “nuggets” than you will ever do on your blog. An easy way to start is elaborating on your recent blog post. Give Give Give…then 20% of the time sell them to an opportunity….one that you yourself use and find profitable. It’s great to see Donna here as your guest. When it comes to list building, Donna is the perfect person to talk about it. Ive started using popups consistently this year and actually I started more so to reap the benefits of them this summer so far. Especially for the fact that I started doing roundups and guest posts. But you definitely need to keep testing them to see which one work the best. I’ve been telling myself that I’m going to start incorporating content upgrades but haven’t done so. They benefit greatly since you already know that you have interested traffic in the topics so why not give a bribe pertaining g to the topic. Thanks for sharing these tips Donna! You two have a great upcoming weekend! List building is needed in order to have any online business. I’ve not done a pop up yet Sherman…still on the fence..maybe an exit pop up. But what has converted well so far is the embeded links in my post. Getting a lot of click though rates at first, but now getting sign ups an even conversion. It does take several times for people to be exposed to an offer so I keep that in mind and have patience. The other way I am building a nice list is putting up WSO’s on Warrior. At first I was intimidated, but as with anything new…I’m comfortable with putting up my own products there at a low price so that people can get into my funnel. Good to see you Donna in Philip’s blog and you discussed a very important topic. Like you have brilliantly highlighted, List building is very important and truly the most important activity of a blogger. When I started blogging, I really did not take list building serious till I saw that it was so important. I also started with an optin in my Sidebar but it did not convert so well so I did some changes and it is has been fun. I have done the same thing when I first started. Putting an offer to join a nice program on my sidebar. Zero luck lol. The best thing I ever did because it made me realize that this was not the way to go. Too passive, no CTA, and so on. Changes are fun. We keep on changing as we grow personally so why not reflect that in our business? I love how you have walked us through all the ways of capturing your audiences attention on your blog Donna, and pointed out the pro’s and con’s. And at the end of the day, you are just so right! The main point of blog visitors is to capture them onto a list, so you can them communicate with them on a more intimate level. Your example of using a text-link within the post is a prominent but not annoying way to do this! I have a plugin with several options for opt-in forms etc… and I use the hello bar, and one below my posts. I agree with you re. pop-up being annoying, and only try these from time to time. This is a great guest post. There are several intelligent ways to building a subscriber list. Building a huge list is great but the most important thing is to build a buyers list. If you don’t mind I highlighted some strategies to building a buyers list while you build you list of subscribers in this post I hope you will like it. Building a good list of buyers outweighs a list of many numbers. Sometimes people get caught up in the number game and the list doesn’t respond. I rather have a smaller list with open rates and opt ins than huge numbers any day! Nice seeing you here! There are so many pro’s and con’s when we are trying to build a list. I just don’t like to over bombard people. Especially when one is a blogger…we read so many blogs per day and the last thing I need when I’m immersed in a post is to have a huge pop up that makes me loose concentration…especially when I cannot find the x lol. I have embedded my opt-ins within the post and it is working well…so far so good. I do create many products, especially WSO’s and don’t like to always be having things on my sidebar. Just one or two of my main products. My marketing for other products are of a whole different nature. I wouldn’t want to bore my readers with too many products. I must appreciate your article and the amazing information you just shared in on PV’s blog. It is quite useful for me! Thank you so much for the amazing guest post. Hi Philip, I am glad to see Donna’s guest post on your blog. Donna this is a very nice post. I use the free pop-up from Sumome but I was recently thinking about stop using this plugin as it affects the loading speed for my site. What sharing plugin do you recommend? I also have hello bar but I don’t think it stands up enough, it’s easy to ignore. Content upgrades are a wonderful way of getting more subscribers. There is even a plugin that allows you to make fancy boxes that you can insert in a certain post and create a lead magnet for that specific post, so you attract more targeted subscribers. Thanks for this post! A big email list of subscribers is the secret of getting more money from a blog. Thank you so much for the kind visit and for the insightful thoughts. Hope Donna will find some time to clear your doubts on the mentioned issues. May you have a wonderful and profitable week ahead.